Happy Tuesday friends! 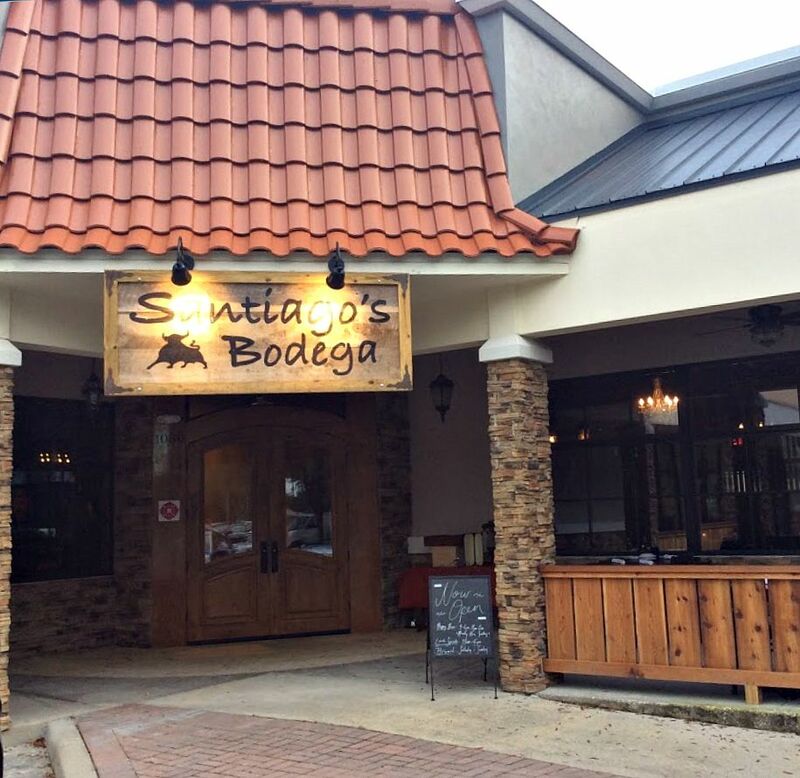 Today I'm sharing with you one of my favorite brunch spots in Orlando, Santiago's Bodega. If you live in Orlando there's a good chance you've heard of Santiago's before but maybe you haven't been there. Or maybe you didn't even realize that there are now two locations for Santiago's (one off Mills Ave and the newly opened one in Altamonte Springs) but if you haven't been there I highly recommend trying it out! At $39.95 per person for all you can eat and drink, it's definitely worth it! Brunch isn't just for Sunday any more! Santiago's offers brunch on Saturday and Sunday from 10 am to 2:30 pm which is perfect for people like me who like to spend Sunday relaxing. This was my first time checking out the new location which has been open since December 2015 and I have to say, while they kept with the same vibe as the location on Mills Ave this space is much different. The space is much more open which makes it either seem larger than the Mills location or it actually is larger and the wrap around patio is perfect for those gorgeous days. The bar is huge if you're just looking for a place to grab a drink and hang out. 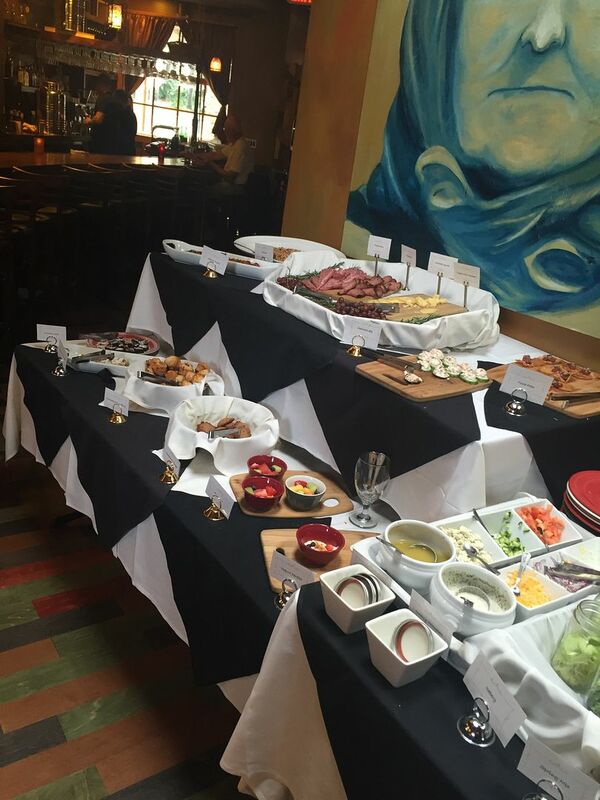 If you've never been to Santiago's brunch before, after you get seated and confirm you're there for the brunch you can order your drinks, unlimited mimosas and sangria (both white and red) are included in the brunch price, then head straight over to the buffet. One of my favorite things about Santiago's brunch is the variety of foods they have. 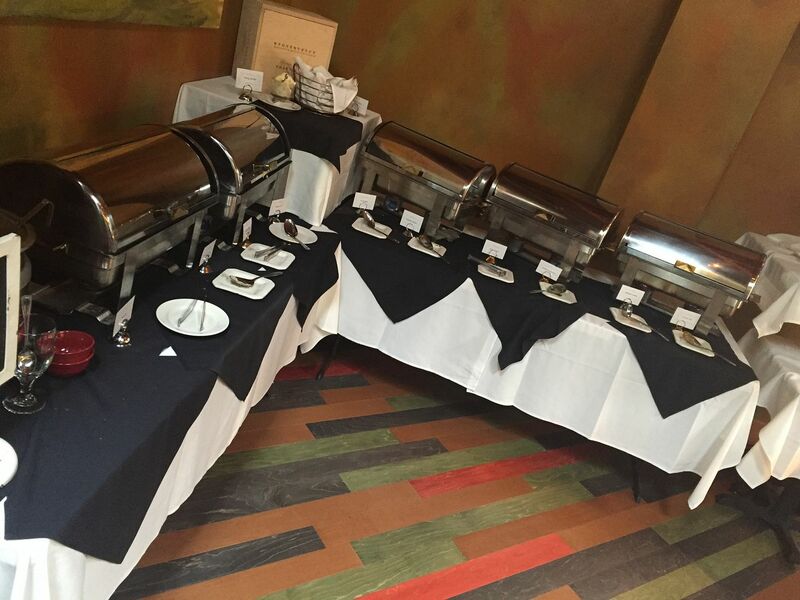 Instead of just being typical breakfast items they offer a wide mix of breakfast and lunch foods ranging from biscuits and gravy, bacon, eggs and muffins to a carving station complete with prime rib, roasted chicken and lamb. They even offer a giant bucket of crab legs and one of my personal favorites chorizo rice! At your table you have the option of ordering their croissant French toast, pancakes and made to order omlettes and pasta. I cannot recommend their French toast enough and I'm not even much of a French toast person! 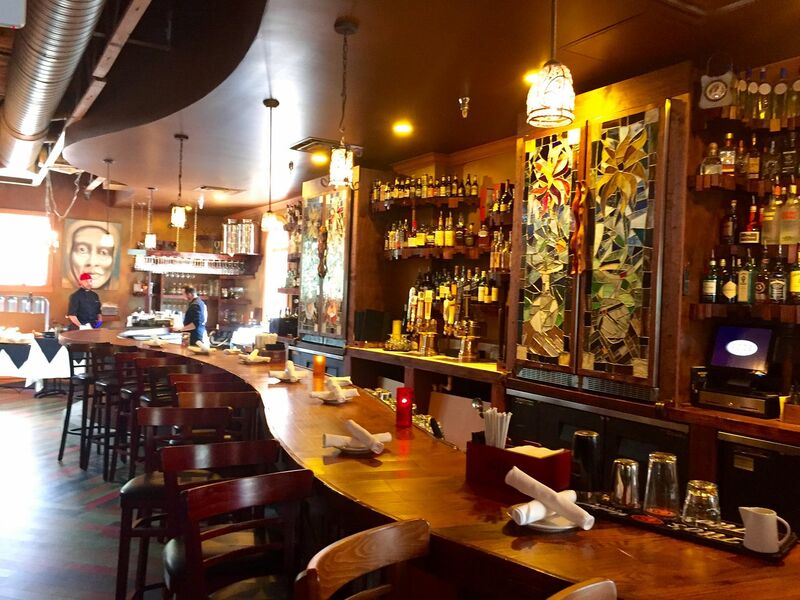 If brunch isn't your thing, then we can't be friends any more, their tapas plates are just as amazing as their brunch offerings. I highly recommend the Patatas Bravas, Croquettas and the Saganaki as great shareable items! I wish more restaurants offered brunch on Saturday because I'm with you, love to spend Sundays relaxing, that french toast look absolutely amazing! Brunch is on the top of my list of my favorite things to do!! Would be perfect after the Disney marathon next time I go!! That looks and sounds amazing. Who doesn't love a good brunch?! What a fun spot and $40 is totally worth it! Crab legs YUM! For $40 that is an amazing value especially with the unlimited drinks and food! I'll definitely check this out the next time we are in town for Universal or something. Love seeing local Florida spots! you know how i feel about this brunch haha. i think i'm still feeling the effects of all that food though! but so worth it! love santi's! i'm headed to orlando this weekend, and will add this to the list. thanks girl! What an AMAZING brunch--YUMMM! and a beautiful spot too! Wow this looks amazing and look at all the choices!!! I would totally have to get the french toast too ... yummm!!! Ok now I'm officially craving brunch at Santiago's. I may have to go this weekend and good to know I can go on Saturday instead because I like to stay close to home on Sundays. 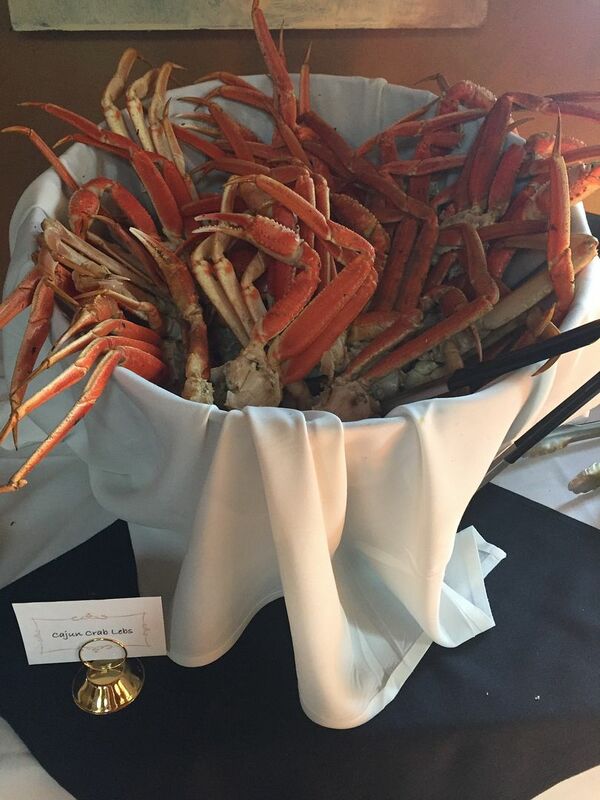 I love that curved bar- and crab legs, YUM! I love buffet brunches!! Haha I can never control myself. Holy yum!! I love a good buffet and the food looks amazing! Definitely need to check this out! haha so true about not being friends anymore if you don't like brunch. who doesn't like brunch?! Um this place/food looks amazing! This looks like such a fabulous brunch restaurant! That French toast looks amazing!!! I've only been to Santiago's for dinner but I've heard people rave about their brunch!! I will definitely have to check it out now that I know it's on Saturday's too! I want to know why more brunch places don't offer unlimited mimosas? It really isn't brunch without the unlimited part, right? And the spread for brunch looks absolutely amazing, as does the french toast croissants! French toast is basically my favorite thing ever, especially new varieties. 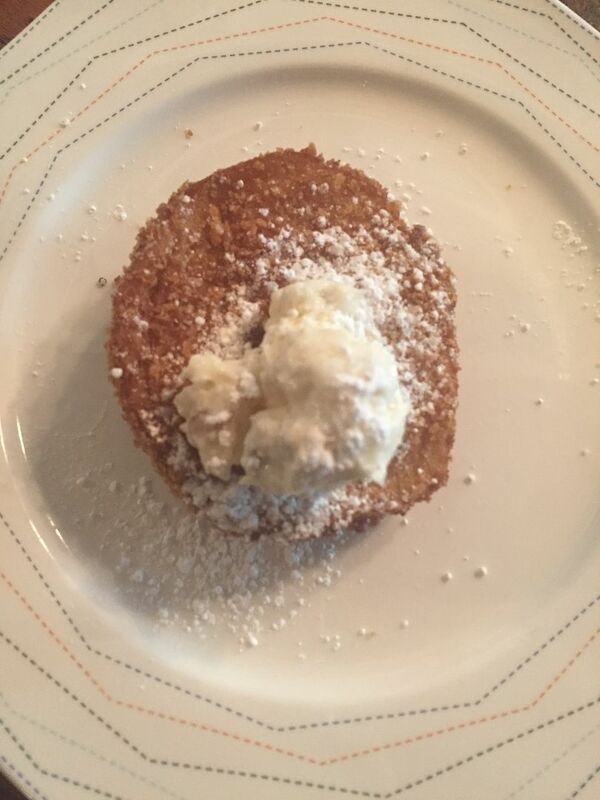 I've had banana bread french toast and marionberry coffee cake french toast and they were amazing. I am dying to try croissant french toast now! this looks awesome! We had a similar place in Louisville and it shut down! I was so sad! You cannot beat a goo brunch! OMG this place looks absolutely stunning! Right up my alley! This place looks awesome! Honestly, you had me at unlimited mimosas. I love that brunch is offered on both Saturdays and Sundays - so many places here it's just Sunday and that's when were gearing up for the week. This place sounds AMAZING!! We need one down my way - yum! Oh my gosh. The brunch sounds amazing! I keep reading all these wonderful food posts right before bed...now I am STARVING! Yum what a deliciously awesome brunch! This place sounds so good. Who doesn't like brunch?? I don't get to go often but I absolutely love going to brunch. This place sounds like the most fantastic place ever to go and brunch at!! This looks amazing! Reminds me of this little place we have in Wilmington called Boca Bay - the best brunch ever! I loooove brunch. Wish I could go more often! !